It's hard to believe that another year has gone by, to be honest. In a lot of ways it was a great year, in other ways there are things that I want to improve for 2016, but overall I feel pretty positive about it. 1. I didn't meet my intial reading goal for this year. I wanted to read 100 books, but in the end I only read 50, and I just squeaked by that last night. I know that that's not all that bad, but still - reading is something that I consider very important, and it's a reminder that I need to make it a priority. 2. I had a huge reading slump again this year. This one lasted from May until October, and then I had another mini one from October until December. I don't know what it is, and I know that ebbs and flows in reading are normal. This is proof positive of a trend I've noticed in other areas of my life, though - I get very passionate about something and do it a lot, and then it dies off completely to be replaced by something else, and it goes in cycles. I think one of my goals for 2016 is to try and find more of a balance. 3. I neglected my blog, too! As goes my reading, so goes my blog, too. It's something that I'm aware of and that I'm going to work on in 2016 - wish me luck! Still, I'm pretty happy with 2015. I think I covered a pretty good variety of books, from romance to science fiction to horror to fantasy. I want to continue this in 2016. You can find my 2015 Year In Books here. I mentioned way back in May that I wanted to keep up my tea drinking rather than coffee, and I'm pleased to say that I've mostly been successful! Now, I've spent probably more than I should on various tea related things, but now that I'm mostly settled it's going to save me a lot of money (and calories!) in comparison to my Starbucks habit. Plus, there are a crazy amount of interesting teas to try! One of my favourites is Santa's Secret from David's tea. Chocolate peppermint tea, so delicious and warming. 1. I've set my reading goal for 2016 at 75 books, and I hope to meet this or even surpass it. 2. I also want to include more variety in my reading - I'm currently working on a fascinating non-fiction book that I hope to have a review for in the next little while, and I want to read more classics, and adult books. 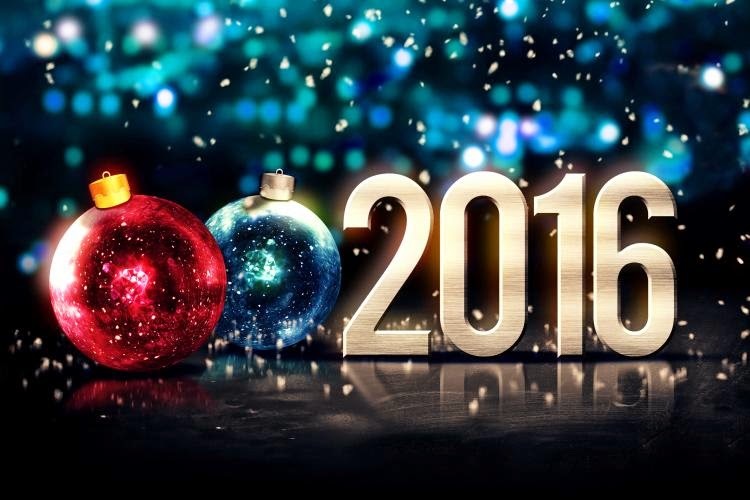 I hope that everyone is having a great first day of 2016, and happy reading!